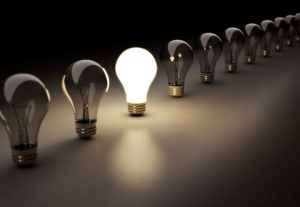 How do you know if you need to call a licensed electrician in Singapore? Here are the five common electrical problems that need professional electrical services. Replacing light bulbs should be easy for anyone even without any experience with electrical works, but if your bulbs frequently burn out even with regular replacement, then there might be problems with the connection or the circuit. This needs the attention of a good electrician in Singapore who will inspect any possible loose connection, damage to the circuit or the poor insulation. This is a fire hazard and must be addressed as soon as possible. If one of the light switches stop functioning, it is time to have it replaced by a licensed electrician in Singapore. Just make sure that you choose only quality products when it comes to your electrical works, because substandard materials can cost you more expensive electrical repairs. Sometimes faulty switches in old apartments or homes in Singapore may be caused by removal of the fixtures or a problem in the outlet or circuit. Before moving into a new home, make sure to call a lineman to install power point. There are do-it-yourself manuals and videos for simple electrical projects, but you should not tinker with something you have no experience of. 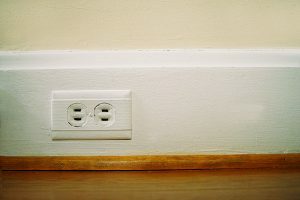 Adding more outlets for your gadgets and appliances is one of them. A dead outlet can result from poor connections and failure to understand how the circuit is supposed to work. If you haven’t touched the outlets, however, it could mean that there is an excessive heat buildup and the wires must have melted. If this is the case, call the nearest electrician services company in Singapore such as powermax.com.sg for a professional inspection. If your breakers work, that is not necessarily a bad thing because it is a method to prevent the circuit from overloading. However, if this happens more often than usual, it could mean that you need to upgrade your electrical works because it is not meeting your needs. This is common in old apartments that have not yet upgraded their electrical service. Contact the nearest electrician services company in Singapore for an assessment and checkup. Sudden sags and dips in power not only damage the circuits and wiring but can also affect your electric bill. 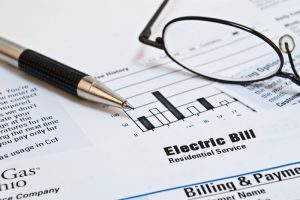 Sometimes there are no visible signs of problems with the electrical connections, but you should be aware of how much energy your appliances and gadgets need to get an estimate of the correct monthly electric bill. Identify which appliances use a lot of power and switch to cost-effective models recommended by your electrician and make sure that the wirings and circuits get regularly inspected.